Stellar Lumens $XLM Pros and Cons - A Formidable Competitor To ETH/XRP? Stellar Lumens $XLM Pros and Cons – A Formidable Competitor To ETH/XRP? In the interests of transparency I should announce that I do currently own some Stellar Lumens but this has not affected my approach to the writing of this article. 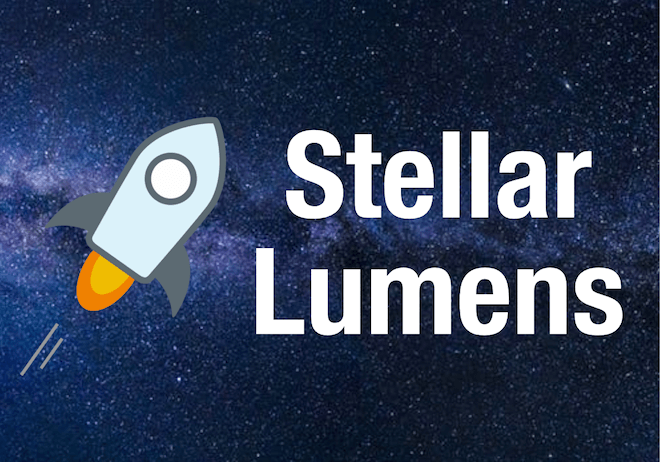 Regardless of whether you are a relative noob to cryptocurrencies or an OG, chances are you have heard of Stellar Lumens. However, do you know what the project is about? In this article, I will give you a brief history lesson, explain what the project is, and cover some pros and cons, all of this without shilling nor FUD. At the time of writing Stellar (XLM) sits at 22 cents and has a market cap of $4.1 billion. XLM has lost 72% against its all-time-high of 93.81 cents. That said, don’t let this alarm you, because BTC is currently down 62.81% from its all-time-high as well. We are not going to go too in-depth with the history and mechanics of the project. If you want to know more about XLM, you can find a wealth of knowledge online – Reddit, Stellar.org, and Youtube. So I will start by giving a very brief overview of the Stellar Lumen project. Stellar was Founded by Jed McCaleb and Joyce Kim in 2014. McCaleb is well known for founding both MTGOX and Ripple. McCaleb left Ripple to start XLM. Yes that’s right, XLM is forked from XRP. The Stellar network is a open source financial services and payments infrastructure. One of its many use cases is cross border money transfers. Stellar utilizes the Stellar Consensus Protocol, which is similar to the Federated Byzantine Agreement (FBA). The main difference is that the SCP does not require all nodes, or “Anchors” in the case of Stellar, to agree to reach a consensus. You can read more about how this works in the Stellar Network White-paper. XLM doesn’t make use of Proof of Work or Proof of Stake because all tokens were created at its inception. Therefore the rewards for maintaining the network come from inflation. This inflation mechanism is good because it is predictable and steady. You would expect that when the circulating supply of XLM increases, the inherent value of each coin should decrease (more supply introduced, demand stays the same). However, since the coins are released at regular intervals and in relatively small amounts (1% per year), the inflation shouldn’t cause much negative price movement and could even increase liquidity. An element of the Stellar network that is often forgotten is its innate ability to execute multi-currency exchanges and ability to store orders and act as a decentralized exchange. The network stores orders and ultimately becomes its own order book, matching buyers with sellers. Additionally, the XLM network is able to match multiple trading pairs. There are other projects that exist that have there own in built exchanges, for example NXT and WAVES, but I don’t believe they are able to perform multi-currency transactions in the same way. If you know of other projects that are able to do both, I would love to know in the comments below. With transaction confirmation speed of 5 seconds on average, XLM is one of the top contenders for speed, often compared to other projects such as Ripple, Nano, and EOS. This fast transaction speed is coupled with low fees, requiring only 0.00001 XLM for the processing of transactions. This amount of XLM is added to a Fee Pool which is distributed weekly as part of the inflation pay-outs. You cannot discuss Stellar partnerships without first mentioning IBM. Their partnership was announced back in Oct. 2017 and inspired a price jump of over 100% in 24hrs. But since then, Stellar has regularly added to their list of partnerships, which include Stripe, IBM, ICICI Bank, Deloitte, TransferTo, Tempo and several others. This means that adoption of XLM as bridge-currency is well under way. While not yet dethroning XRP, it is solidifying its position as a serious competitor. At the outset, XLM wanted to be decentralized, open-source, and transparent. Not much has changed, except the level of transparency that the Stellar foundation believes to be in its best interests. Bringing attention to the two highlighted elements from the Jun 2017 screenshot, these two declarations were removed mid-2017. Now this may not seem like much to be concerned about, but I can’t help wondering why these financial elements were removed? Why is this level of transparency and trust from the community no longer needed or wanted? From an organization that holds the majority of the total XLM supply, I as an investor would want more transparency not less. I would financial reports of how the company I am invested is doing – maybe we don’t need to know how earns what, but who has how many lumens within the company should be disclosed – in the interest of transparency for the community. At present there are 104.22B XLM and only 18.77B are NOT held by the SDF, this means that the SDF currently have just under 82% of the total supply. 50B of this is held for later distribution via the direct sign-up program, which should be ongoing over the next few years. This involves a lot of trust that this distribution will take place, as many investors may be unaware of this program. In fact, many were unaware of the Bitcoin and Ripple program that was allocated 20B, but only utilized a total of 2B, with the remaining 18B going back into the foundation’s pockets. And then there’s the 2B that was paid to Stripe in return for a $3M loan. But this amount was not part of the 18B held by the SDF. All of this results in a huge stranglehold on the supply of XLM, a centralized infrastructure, and a lot of trust in what should be a trust-less network. This is by no means an issue exclusive to XLM – there are a whole host of projects on the market with this same centralized element. There are two issues that arise from the statement above. First, the voluntary element of this agreement. While this agreement has been entered, there is nothing preventing participants from withdrawing from a voluntary agreement and sending their XLM into the market. Second, this agreement was entered into 4 years ago this means that within the next 12 months, we could see these Lumens flooding the market. The result of which could drop the price of XLM. 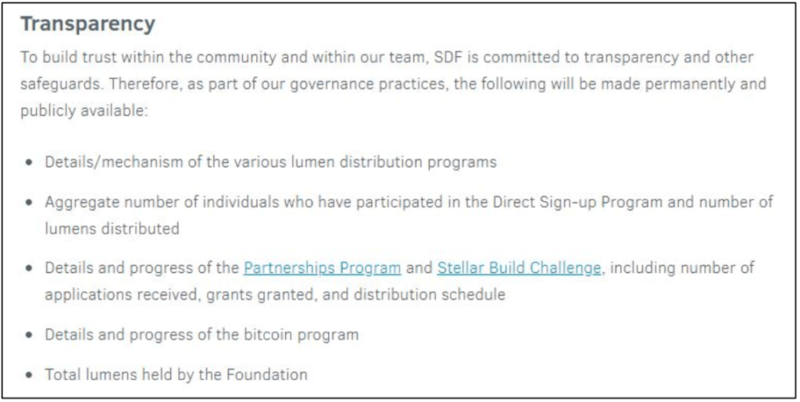 With the constant stream of good news and partnerships being released by the SDF, its hard to have your sights set on anything but the moon if you a XLM holder. For me, I don’t see XLM becoming a ‘gold standard’ for cross-border payments within the financial sector, regardless of the potential and tech. This is because, I think that XRP will remain at the forefront for some time, simply due to its institutional focus, which is something XLM purposefully shuns. This is also by no mean the only or best company in this sector of the crypto market. If you are looking to invest, you should take the time to research other projects that are similar, some of which have been mentioned earlier. This project does pretty much check all the boxes, I would look for as an investor: strong development team, history of achieving milestones, passionate community following, real-world use case, relevant partnerships, and a working product. It does also come with some downsides: semi-centralized supply, lots of competition, and potential for manipulation. So as always, it’s important to do your do your own research and make educated decisions and never invest more than you can afford to lose. That’s it from me, I hope you enjoyed this particular article, please feel free to share it within your circles or anyone that might find this interesting. I would love to hear from you. What are you thoughts on the Stellar Lumens project? Are there any Pros or Cons you feel I should have mentioned?